As announced yesterday, the XCLR token will take the place of the CLR token in a fork event. All holders will be distributed 1:1 for XCLR where they held CLR. The contract address for XCLR is live at 0x1E26b3D07E57F453caE30F7DDd2f945f5bF3EF33. We are in the process of working on the fork distribution and will be able to distribute XCLR this week starting with wallets that were holding off exchange platforms. Working with the exchanges is a process that requires some cooperation and we are working with them on getting the distribution done. There will be more updates to follow in the coming week. Thank you for your continued support. Solid team doing solid work. So do we send our CLR to the contact stated from our hot wallets (imToken)? The XCLR tokens will be distributed to the wallet that you’re holding CLR in. If you are holding on an exchange platform it will be the same but please wait for further updates. 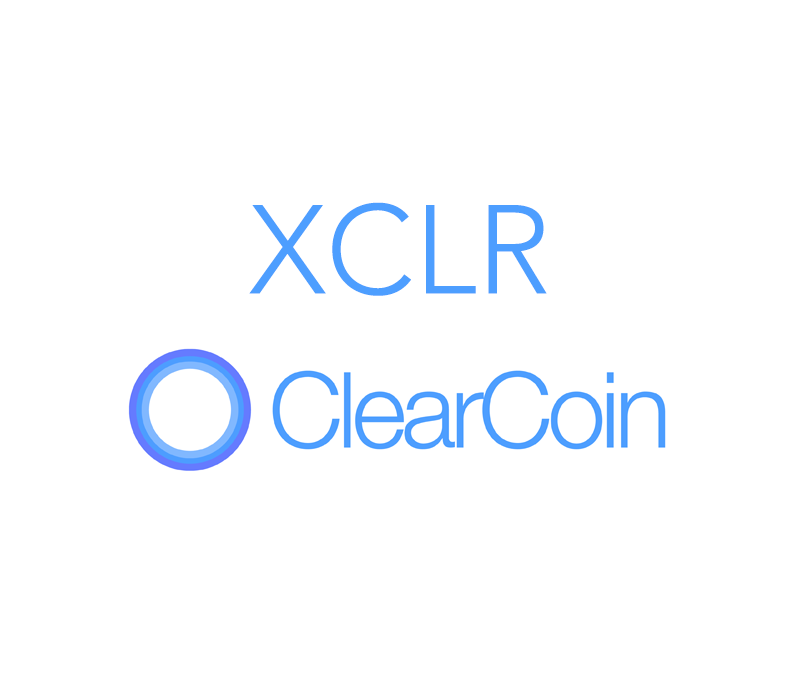 Will CLR held in the wallets provided on the Clearcoin website will be converted to XCLR? So Can you guys contact Blockfolio to update them with the new XCLR Info so it can be added for those that use it to track progress? Hi – Blockfolio has updated the listing for XCLR. Please check it now. Thanks. When will XCLR be available on exchanges? Hi Dale, to convert the CLR you have in HitBTC to XCLR please use the form found at this link. Thanks for checking up with us, we are on CoinMarketCap https://coinmarketcap.com/currencies/clearcoin/. I have my CLR coins in clearcoin wallet itself. But i haven’t received airdrop 1:1. I sent email to celarcoin team, but they haven’t responded so far. Could you please let me know, whether i will receive airdrop coins or not? Please email help@clearcoin.co to open a ticket with the support team.